Home / Licenses / FTA of U.A.E. 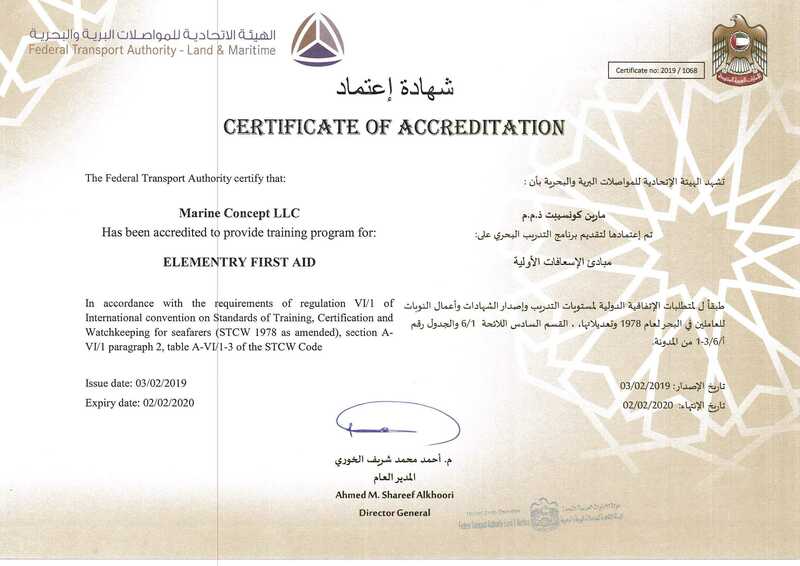 Marine Concept has been approved by the Federal Transport Authority of U.A.E. 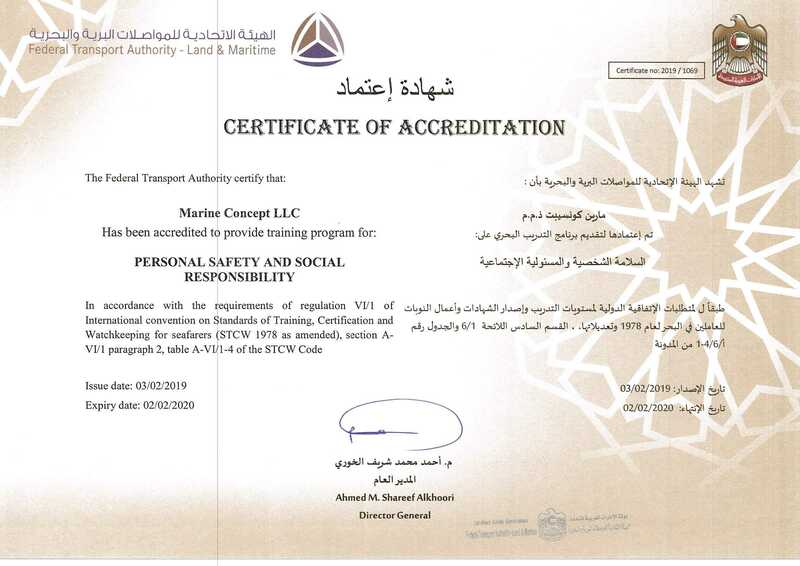 to conduct training and examination for the FTA Small Boat Driving License up to 12 and 24 meter. 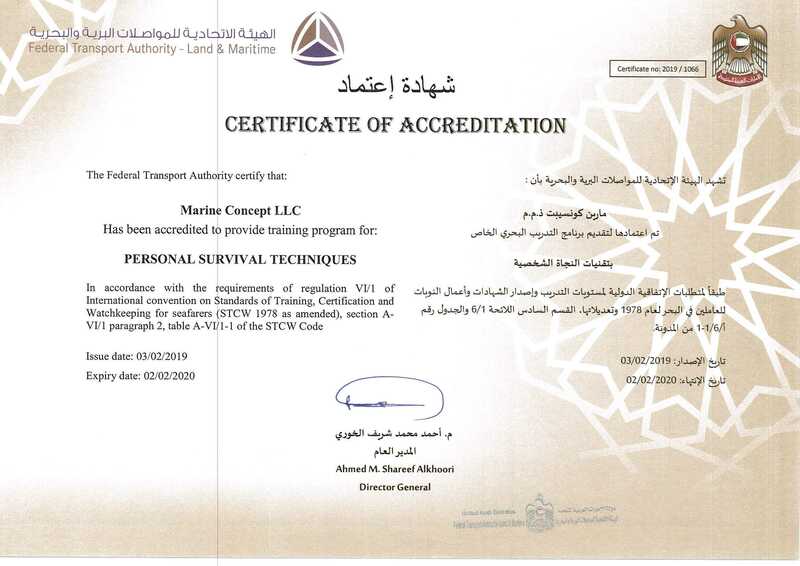 Furthermore we proudly obtained the accreditation of the FTA of U.A.E. 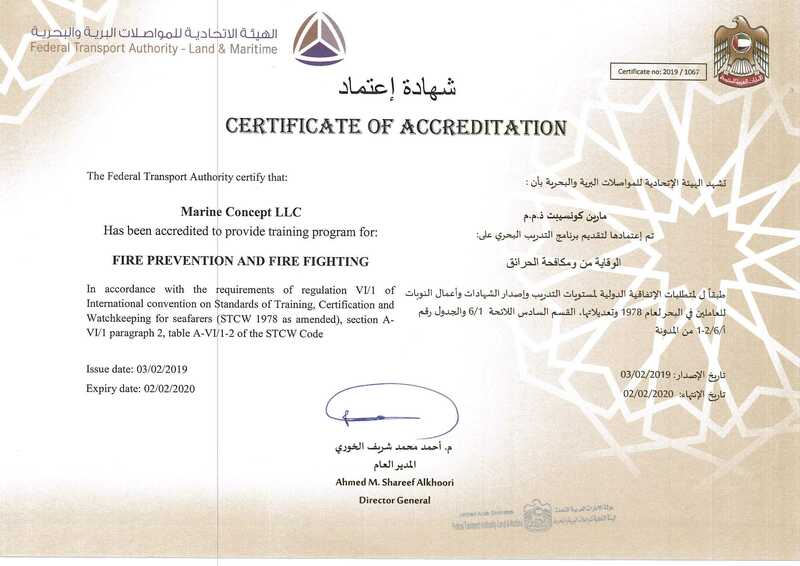 for STCW Basic Safety Training courses in Dubai.